We provide over 300 jobs to High School and University students every year. Many of our employees return year after year because top priority is given to maintaining their satisfaction; and ensuring a safe, clean, and fun work environment. With numerous opportunities to advance across all departments, many find the opportunity to lead and train others. Destination Cultus will continue to strive to be a top tourist destination for BC and Western Canada. If you are looking for work experience in the tourism industry, why not start with a highly established tourist attraction. Get full-time hours during the summer with consistent and flexible scheduling. 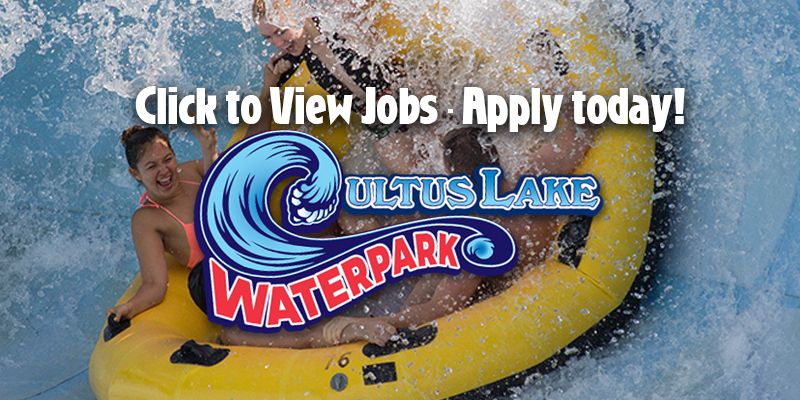 Destination Cultus pays above minimum wage; and offers pay increases for returning years of service, as well as promotions. Past employees have thanked us for providing a consistent & fulfilling summer job that paid their way through university. We equip students for their career goals by providing thorough and quality training, giving experience to add to their resume and references that are trusted across the community. Training is provided for all departments – no prior certifications required to apply. Amazing Staff incentives includes free admission to Both Parks, in-park discount for personal use and friends & family, performance based rewards, fun staff events, staff appreciation days, and referral rewards.